Check the calendar, or Facebook for current bands. It changes every day so check back often!! Hailing from Denver, Colorado, Native Color blends elements of early 2000’s alternative rock with classic sounds of the 70’s. Formed in Summer 2015, the band has already played some of Denver’s most popular club venues such as The Other Side, Larimer Lounge and The Roxy Theater. Influenced by artists like The Strokes, Pink Floyd and The Libertines, Native Color’s energetic sound is ready to travel the airwaves starting with their first single out now, “American Wasteland”. 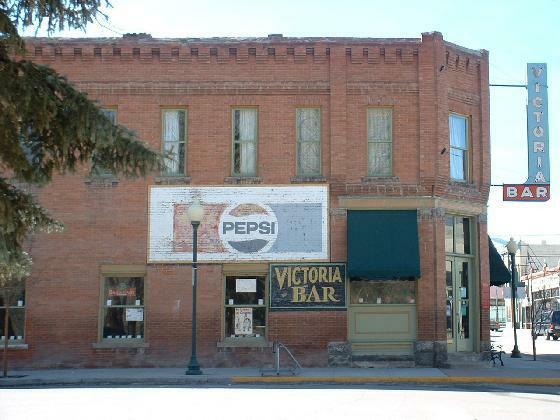 The Victoria Tavern, known locally as ‘The Vic’, was built in 1900 and originally billed as a European-style hotel featuring first class accommodations and steam heat. Located in beautiful Historic Downtown Salida, the two-story corner entrance building has housed many businesses throughout her history. Before settling in as a tavern in 1910, she was a grocery store, meat market and billiards hall. For nearly 30 years The Victoria has belonged to Peter Simonson. The Simonson Family, supported by an all-star team, continue to keep The Vic a beautiful historic presence and an asset to the local economy. Long gone may be the days of 2-bit rooms and 10¢ quarts of beer, but a trace of The Vic’s victorian elegance remains, only to be trumped by her bawdy nights and stories she’ll never tell.